This week marked Christy’s fourth visit to ISP. 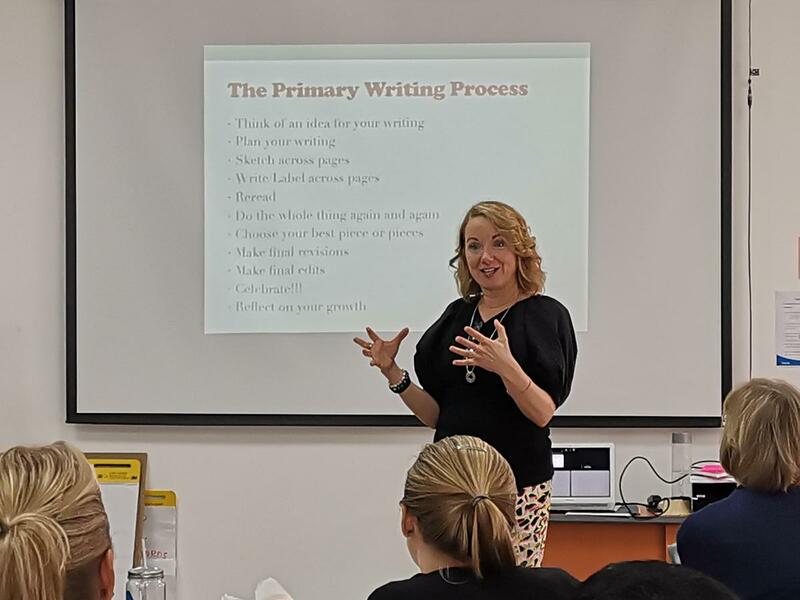 Throughout the past year, Christy has been supporting the development of our students as writers by using the structures and routines from Writers Workshop, in our Elementary School. On Monday and Tuesday Christy’s time was spent working with ISP teachers in the Elementary School and Middle School. She was helping us to reflect back on our journey in implementing Writers Workshop and thinking about our next steps in supporting our students as writers. 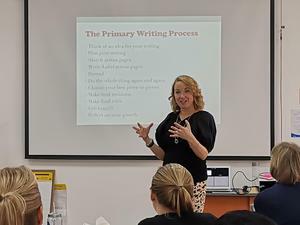 On Wednesday, Thursday and Friday ISP hosted a Writers Workshop Institute, which was open to educators from the region. Over 25 educators from 5 different countries spent 3 days together learning with and from each other about Writers Workshop. At ISP we truly value the importance of reaching out and making these connections that strengthen our practice in our school. Our Learning Institutes give us the unique opportunity to bring educators to ISP to continually improve the ways we approach learning.